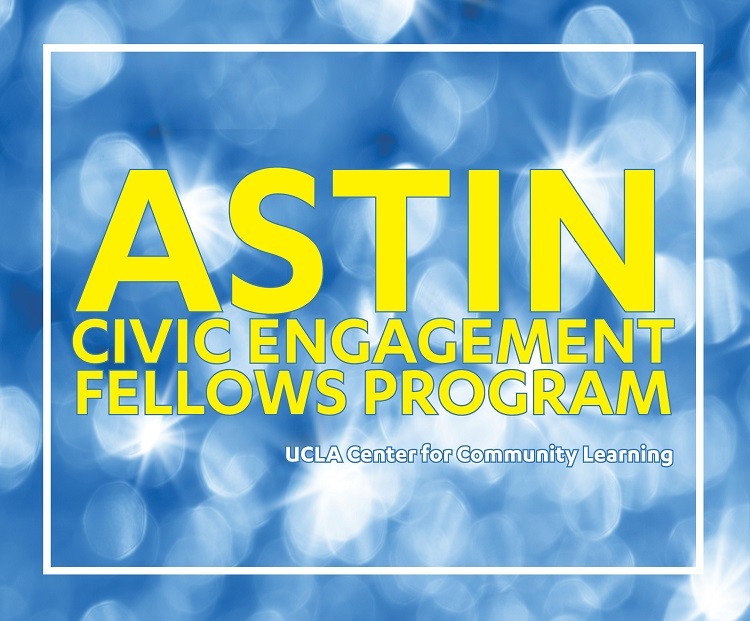 The UCLA Center for Community Learning welcomes applications for the Astin Civic Engagement Fellows program. Students selected will intern with Big Citizen Hub throughout winter and spring quarters, and will enroll in a 4-unit upper division independent study course each quarter. Students selected to be Astin Fellows will receive a $2,000 scholarship. Have sophomore, junior, or senior standing. The mission of Big Citizen HUB is to build a community of Big Citizens, expanding the social capital of youth through curiosity, gratitude, team, and adventure. Big Citizen HUB is a little league for civic action; a space for young people to transform into Big Citizens and practice changing the world with peers in their middle school and high school groups. Youth will increase their civic knowledge, personal agency and understanding of the city around them. All interested students should complete the online application before the deadline: October 19, 2018. Visit the Astin Scholars website for more information about this program. Community Learning: You See L.A. Abroad: If the world’s interesting, LA is more so. UCLA needs to help Bruins explore it.